There is an innate dance within our bodies that is always happening, from our first breath to our last. This is the powerful movement of our own life force just waiting to be heard. All we need to do is be present enough to listen. 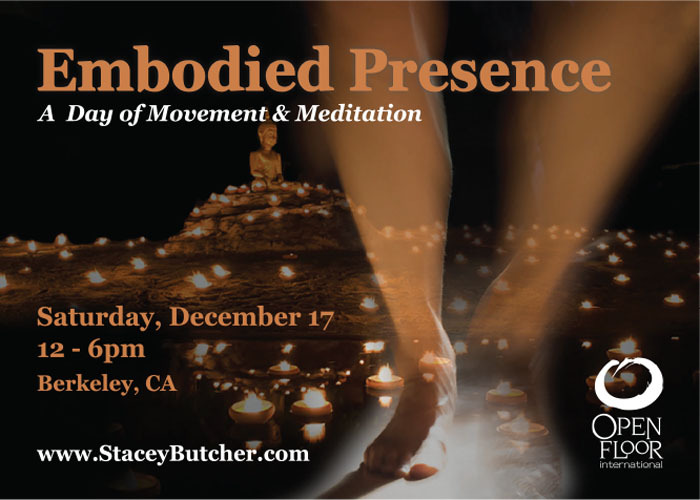 Gift yourself with this opportunity to take a day out to listen to your body’s wisdom, as we follow the fluid dance between sitting meditation and the Open Floor Movement Practice. Through these two transformative gateways, we will open our awareness to all that lies within, giving it space to move through us. This is where true healing begins. Practicing together in this way is potent medicine, especially this close to the Winter Solstice. Come be part of the magic. Once a year I offer this movement and meditation daylong on a sliding scale. There will be space at the door if you'd still like to join us. Please bring cash or check ~ no credit cards are accepted at the door.